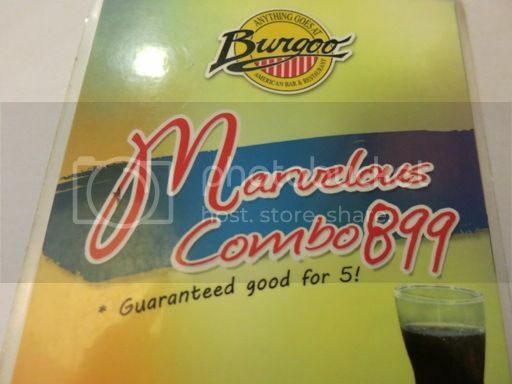 We were at Burgoo again last Saturday not to have our usual order but to try their “Marvelous Combo” promo that we spotted on a poster displayed outside of the restaurant. The “Marvelous Combo” is good for 5 persons, and it costs Php899.00. The waiting staff said we have the option to order a Regular or Large order of pasta if we want; we did that because there were only four of us, 3 adults and one kid, and for this we only paid Php799.00. Our “Marvelous Combo” food consisted of the following: Cheddar Cheese Fries, Country Fried Chicken, Tomato Basil Spaghetti and a pitcher of soda. These are country-style French fries topped with cheddar cheese and bacon bits. We thought the little boy would like these because he loves French fries, but he said he likes the usual French fries and not the ones with the skin on. White lie! I think he just wasn’t in the mood to eat fries that day because the last time we ordered country fries at Icebergs, he almost finished the entire plate. Lol! This is seasoned chicken marinated in lemongrass broth then fried. This may not look appetizing in the picture, but it was! It was also served hot and fresh. The rice was good for only two persons, though, but that was okay, because we still had a pasta dish. This is a meatless pasta dish. 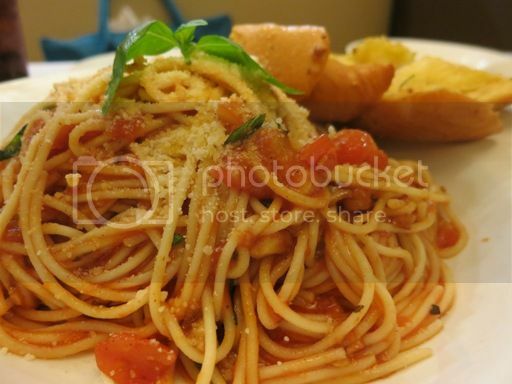 This is spaghetti cooked in olive oil with garlic, tomatoes and tomato basil sauce. This was delicious even without meat. Actually, this was all that my son had at Burgoo that day. Hubby and I liked it, too. 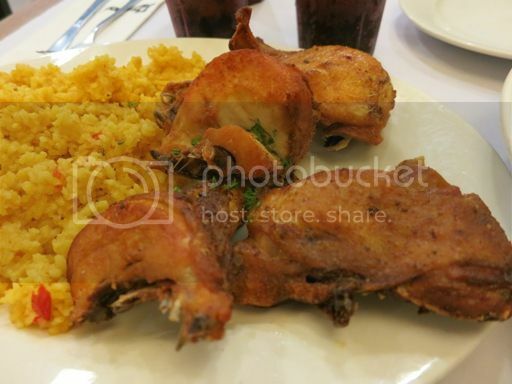 This entry was posted in American Cuisine, Burgoo American Bar & Restaurant, Food Friday, Food Trip Friday. Bookmark the permalink. oooh, the chicken and pasta…drooling here! lol. thanks much for playing again this week, sis! 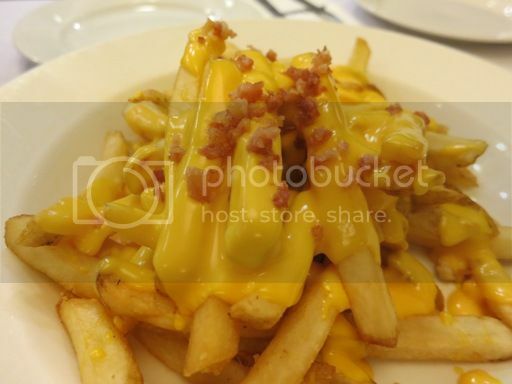 Those Cheddar Cheese Fries looks really delish!!!! The cheddar fries is sure worth trying!! !